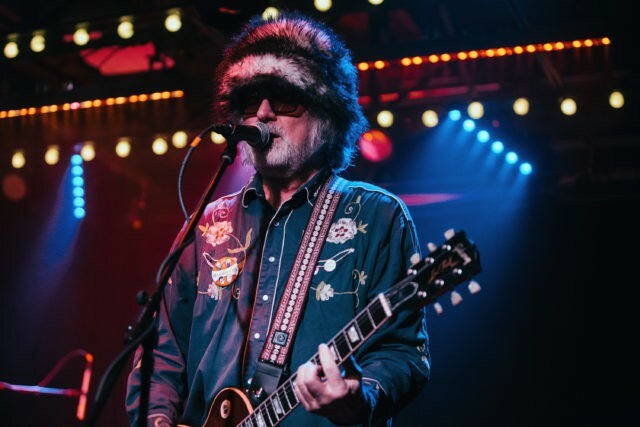 Scott McCaughey, the frontman of the Minus 5 and longtime touring member of R.E.M., recently suffered a stroke while on tour with Alejandro Escovedo. And last night, an all-star lineup of musicians including Escovedo, R.E.M.’s Mike Mills and Peter Buck, Sleater-Kinney’s Corin Tucker and Janet Weiss, the Shins’ James Mercer, the Decemberists’ Chris Funk, M. Ward, Patterson Hood, Justin Townes Earle, Mike Coykendall, Kurt Bloch, Jerry Joseph, and Fernando gathered at Portland’s Star Theater to perform at Help The Hoople, the first of two benefit shows this weekend to raise money for McCaughey’s medical bills. Watch some fan-shot footage from the evening below. Behold the return of Scott McCaughey with Furious Friends this very night!